KonMari Your Garage - Spark Joy with a Tidy Space | Gold Eagle Co. If you have Netflix, you’ve probably watched—or at least heard everyone talking about!—Tidying Up with Marie Kondo. Maybe you’ve even tried the KonMari Method around the house, starting with your clothes, of course. But have you used it to organize your garage yet? After all, the typical garage is practically overflowing with clutter that might include everything from tools to holiday décor. So it could benefit from the KonMari Method just as much as your bedroom closet could! Here’s what you need to know about the KonMari Method and how to use it to make your garage look neat and organized. If you’re not familiar with the Netflix original series called Tidying Up with Marie Kondo, you might not know what the KonMari Method is. Basically, it’s a way of tidying your belongings by category, rather than trying to clean up room-by-room like many people do. With this method, the first category to start with is clothing, followed by books, papers, Komono/misc. items, and sentimental items. So what do you do while you move through these categories? You don’t simply organize and then put away. The point of the KonMari Method is to declutter, meaning you’ll be getting rid of a lot of your stuff! More specifically, you’re supposed to pick up each item one by one and determine if it “sparks joy” for you. If it doesn’t, thank it for its service to you and then either donate it or throw it away. And anything that still benefits you in some way—whether you still need it or simply get some joy from it—gets to stick around for you to neatly put away. Now that you know what the KonMari Method is, it’s time to apply it to your garage. To get started, first take everything out of the garage and put it in a big pile on your driveway, lawn, deck, or any other space large enough to hold it all. Now your garage should be empty and you should be able to see everything that it once held. The next step is to break everything into categories. If you keep clothing, books, or papers in your garage, go through those first. But if you’re like most people, the items in your garage are miscellaneous necessities and sentimental items. Start grouping the miscellaneous items into different categories, such as tools, chemicals, lawn equipment, recreational items, and fasteners. And if you have boxes of sentimental items—such as old photos and holiday décor—take them all out and put them in a pile. Now you should start going through everything, making sure to pick it up and determine if it sparks joy for you. If it doesn’t, thank it and put it in a pile to either donate or throw away. Keep doing this until you get through everything from your garage. 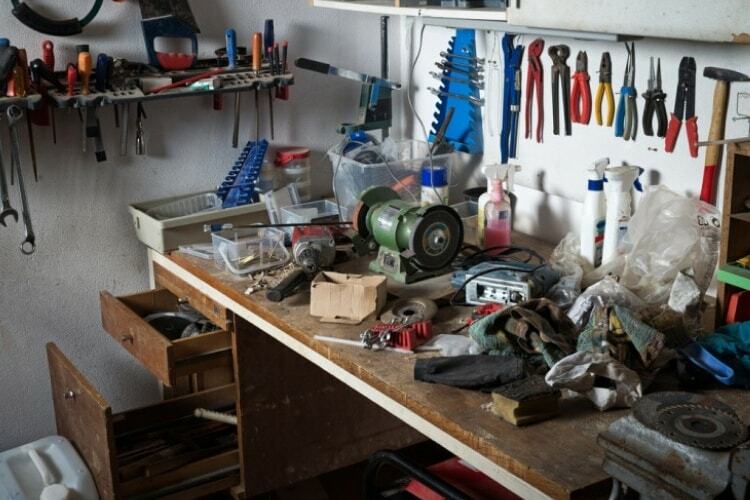 Of course, most items you keep in the garage probably don’t spark joy for you; many items in that room are more practical than appealing, and they may even be dirty or dusty! So another way to go through those items is to think about whether you still need them. When is the last time you used each item? Is it broken, or do you have more than one? Is it something you use so rarely that you could just borrow one from someone else? Basically, if it’s not something you use regularly, it may be time to toss, donate, or sell it. For everything else, it’s time to get organized. This means putting your tools in a toolbox, adding hooks to the wall for anything you can hang, and buying clear plastic bins for your holiday décor. This way, your garage will look and feel tidy and functional, making it easy for you to find anything you store in there when you need it! 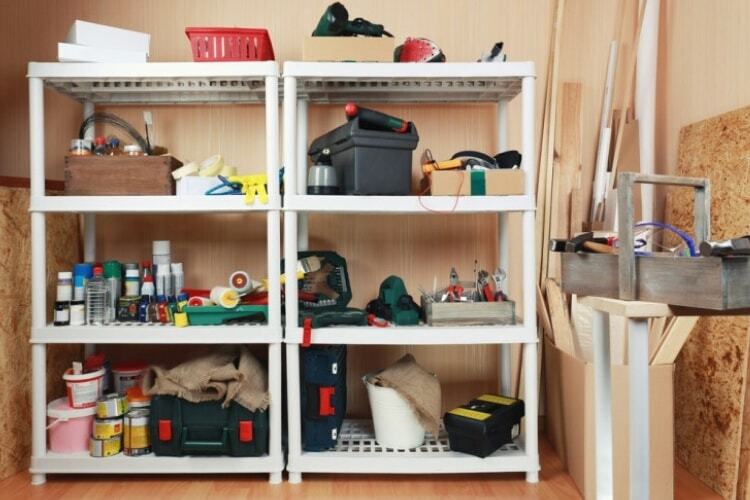 For even more tips on tidying up this part of your home, check out 7 Ways to Organize Your Garage.